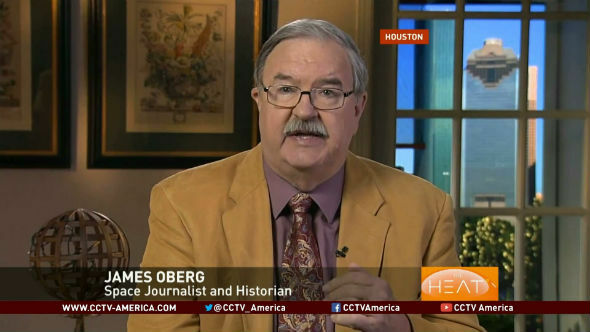 James Oberg worked at NASA mission control in the late 1990s before becoming a space journalist and historian. A few years ago he was bitten by the UFO bug. So what does he have to say? The first people to be disappointed by his revelations will be alien conspiracy theorists hoping he was about to lift the lid on the alleged cover up by NASA of the existence of ETs. 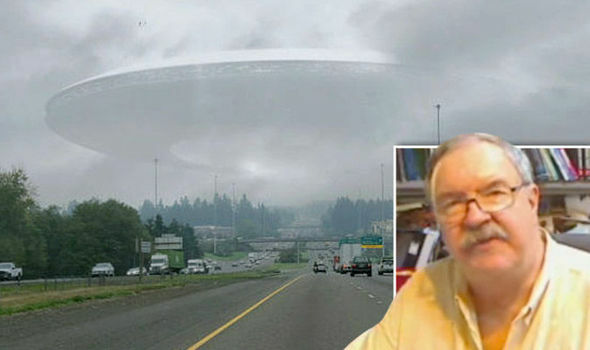 Instead, Mr Oberg has spent months sifting through popular online UFO cases, debunking them using science. His conclusion revolves around something he calls “space dandruff” – or people misunderstanding what space travel would actually looks like. Instead, he hopes he can work out what really happened during each popular sighting and why so many people believe they are aliens. He said: “Our human senses are so used to focussing on relatively slow-moving objects, as well as certain light and atmosphere conditions, that when things change, our brains get confused. “Our sensory system is functioning absolutely perfectly for Earth conditions. Some of the UFO cases held up as the most compelling result from claims by NASA astronauts that they allegedly saw UFOs during a space mission. But these are invariably followed by claims of a cover up and that NASA forced them to to keep silent about the sighting. James Oberg has delivered some startling views on historic UFO cases. James Oberg giving expert view on UFO cases on TV. Over the past 12 months, there have been a glut of alleged UFO sightings on the live stream of the International Space Station (ISS). Many were reported, and some already debunked, on Express.co.uk, as lens flares, when light reflected inside the camera is fired back out onto the resulting camera or video image. Mr Oberg said many of the other ISS sightings were space dandruff. These are bits that have fallen off space vehicles during flight, like ice flakes, paint chips, or fragments of insulation. He said these tiny pieces of litter are different to space junk, because they don’t pose a real threat to any spacecraft. Our sensory system is functioning absolutely perfectly for Earth conditions. But we’re still a local civilisation. Moving beyond our neighbourhood has been visually confusing. He said: “These flecks of dandruff are pretty common, but the reason they look so weird to us is that we’re not used to the way these objects look when they fall while the space station is travelling through space.”It’s the same reason why people see so many UFOs in the footage filmed by the cameras attached to NASA’s old space shuttle missions.”In these videos, people usually freak out because the spots seem to dance in and out of view, or suddenly appear and disappear. Which is pretty creepy if you’re sitting at your computer on Earth, but isn’t that weird if you’re on a space shuttle travelling 28,000 km/h (17,500 mph) – nothing’s going to stay in your frame of vision very long.”He said that if the spacecraft is in the right position compared to our sun, its shadow can be cast onto the objects making them disappear and reappear- known as ‘twilight shadowing’.One major event, that took the net by storm last year, was a flare of light across a Californian night sky.In December locals were freaked out when the white streak shot across the night sky. However, Mr Oberg pointed out it has since emerged it was a planned, unarmed missile test by the US Navy. The bizarre looking trail of light was a plume of particles from the rocket thruster.He said it looked so odd on Earth because: “We’re used to seeing thin vapour trails left by planes, or billowing smoke plumes. But most of us have rarely (if ever) seen anything so big and sharp as this.”There were thousands of people who were absolutely processing their visual stimuli correctly if [the plume] was a mile away or 10 miles away.”But it was 300 miles away, up in space and sunlit, which never occurred to them, because this is not something within the normal range of human experience.”But his analysis does not mean he is against people continuing to look for evidence of aliens.He said: “It’s good to keep scanning space video for possible anomalies and reporting them quickly.